Today is the fifth annual Ada Lovelace Day, a day dedicated to celebrating women’s achievements in STEM fields (science, technology, engineering and maths). 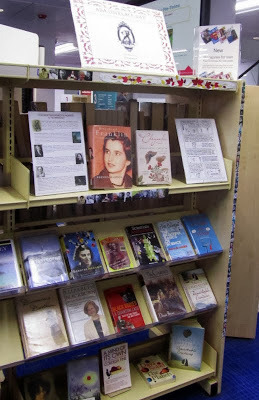 Ada Lovelace Day has become quite popular in my particular corner of the Internet, but as I’ve mentioned before, if there’s one thing working in libraries has made me realise it’s that sometimes there’s surprisingly little overlap between what’s really popular online and what’s part of the public consciousness offline. So this year I thought I’d celebrate Ada Lovelace Day by bringing it to the attention of people who may not have heard of it before. And what better way to achieve that than to make a display at a large and very busy public library? 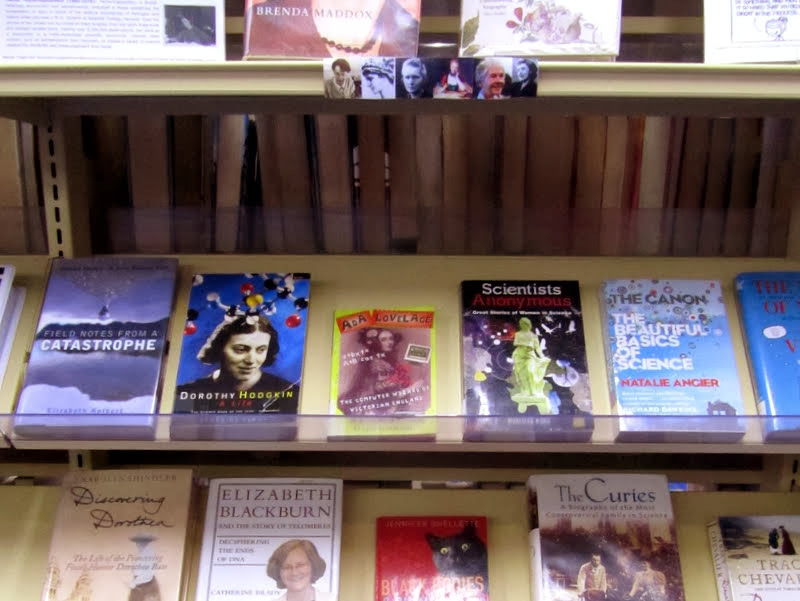 Here’s the top shelf, with a small poster with biographical information about a few renowned women scientists: Ada Lovelace herself (of course), Mary Anning, Dorothy Hodgkin, Chien-Shiung Wu, Rachel Carson and Cecilia Payne-Gaposchkin. 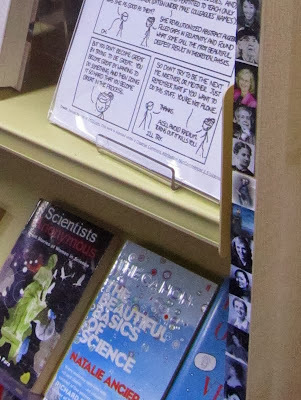 And no, your eyes do not deceive you: that is indeed one of the best xkcds ever on the other side. As you can imagine, working on this display was a little bit disastrous for my wishlist. In the spirit of Ada Lovelace Day, feel free to tell me what you’d add to this list. 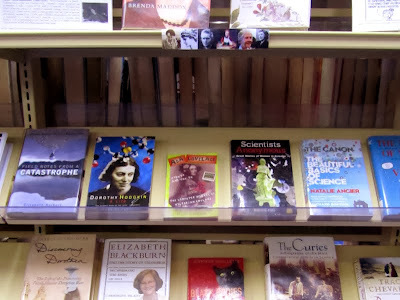 Can you think of books about some of your favourite women scientists? If not, a personal story in the comments would be just as good or better. 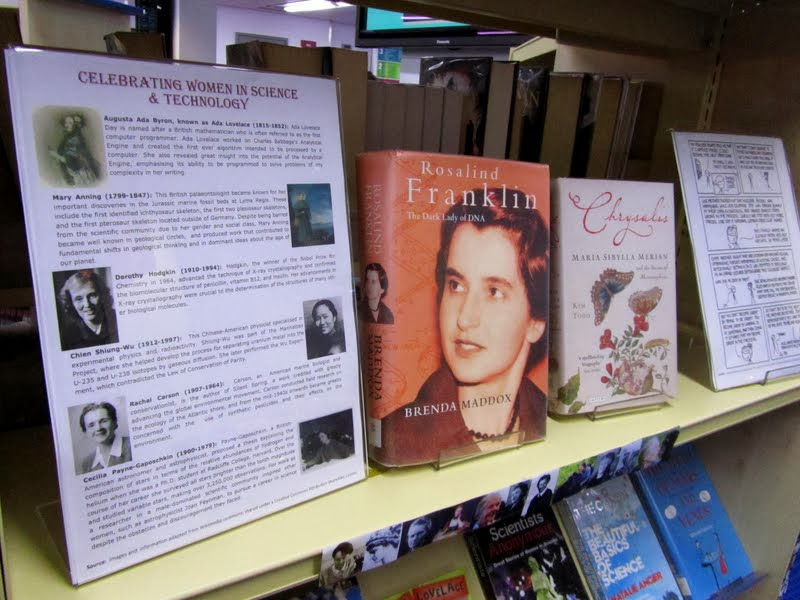 I've been meaning to read the Rosalind Franklin bio - glad to hear it's a good read. Yeah for women in science! Oh man. What a great idea. I don't work until late today... but next year! Happy Ada Lovelace Day, Ana! 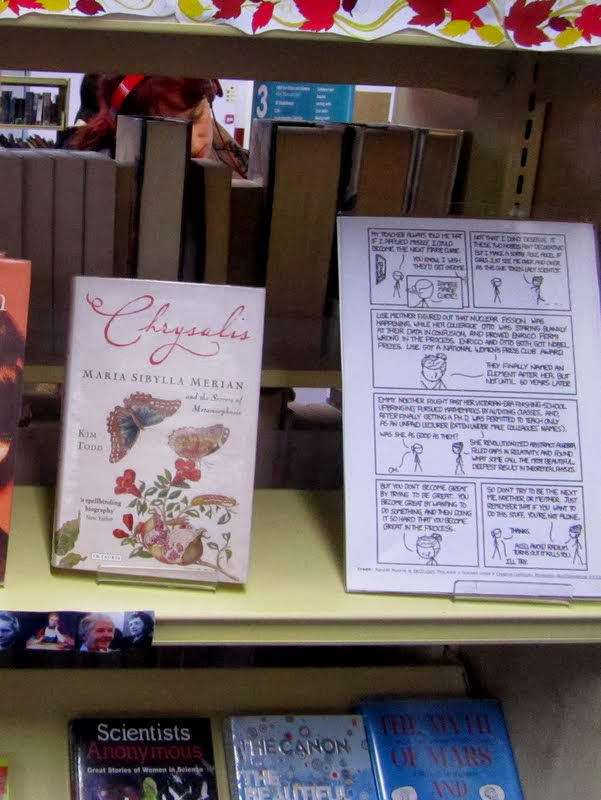 I loved your display at your library! Sometimes I am so jealous of you - you get to show off your favourite books as part of your work :) The readers who come to your library are so lucky - envy them so much! I was so happy to see my favourite Natalie Angier's book on the beautiful basics of science. I loved your review of that book. She is a real inspiration. 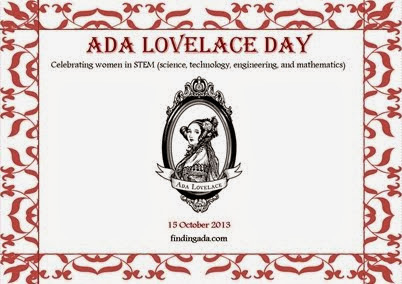 Thanks for sharing your Ada Lovelace Day celebrations. Gah, I just love so much what you do as a librarian :) You're the definition of what a true gift a great librarian can be to someone. 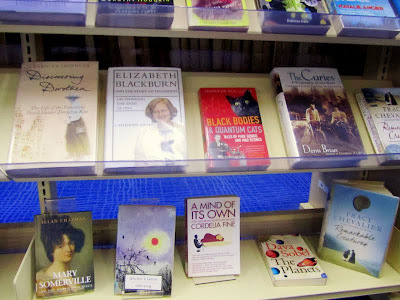 And having said that, I'm bookmarking this post so that I can read some of these wonderful sounding books!